Ghana’s 4-1 beating of Nigeria in the West Africa Football Union (WAFU) Final last Monday (September 25, 2017) was an icing on a cake baked with a huge victory on the economic front. The country had won a decisive win over Côte d’Ivoire at the Special Chamber of the International Tribunal of the Law of the Sea(ITLOS) two days before the WAFU Cup final match in Cape Coast, capital of Ghana’s Central Region. It’s worth noting that Côte d’Ivoire and Nigeria are Ghana’s two most important economic and political rivals on the mid-African edge of the Atlantic Ocean. 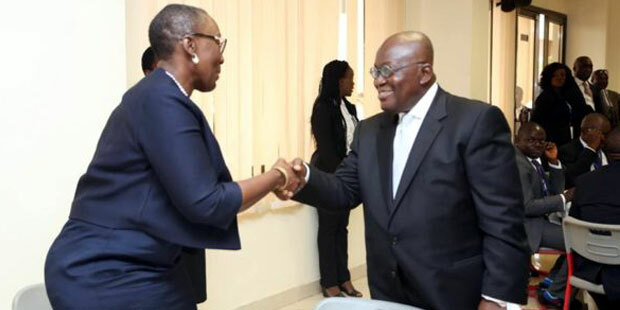 Ghana had taken Côte d’Ivoire to ITLOS in September 2014, after negotiations with the latter broke down over who had rights to explore and exploit the resources in the Cape Three Points acreages as well as the surrounding fields. In April 2015, ITLOS forced Ghana to suspend the drilling of new oil and gas wells in the disputed territory by ordering a number of provisional measures, pending the outcome of the litigation. That decision caused Ghana’s Twenaboa, Enyenra and Ntomme (TEN) cluster of fields to begin production with 11 of the planned 24 wells, as no new wells could be drilled until the dispute was settled. Three years after ITLOS was approached by Ghana to arbitrate, the Tribunal ruled as follows in favour of the country: 1) That there had not been any violation on the part of Ghana on Côte d’Ivoire’s maritime boundary; 2) Determined a new boundary for the two countries (3) Dismissed Côte d’Ivoire’s legal argument that Ghana’s coastal lines were unstable and 4) Declared that Ghana’s oil and gas exploration activities in the disputed basin did not violate any other country’s sovereign rights.